In addition to the new, ancient aircraft abound at Air Force Materiel Command flight test centers. In many cases, these are the cast off prototypes of now common aircraft, for example the F-15A, F-16A and the first C-17A, but they also include the dinosaurs of a past era, the T-39A Sabreliner, NC-131H Convair 580, C-18 Boeing 707 and NC-130A. Due to the mission at the Air Force Flight Test Center, it operates a great variety of aircraft. The 412th Test Wing manages flight operations for the Air Force Flight Test Center at Edwards AFB, CA. 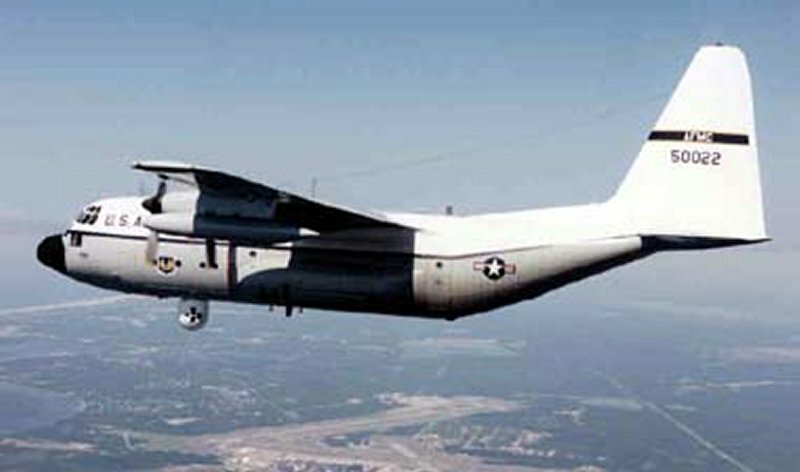 Using a mixed fleet of support aircraft, including the NC-130, it annually tested both experimental and USAF inventory aircraft, as well as others on loan from US government agencies and foreign governments. Component systems flight-testing included weapons and ordnance, avionics and sensors, flight controls, and aircrew life-support equipment. The 40th Flight Test Squadron supports tests for the 46th Test Wing and other test organizations that conduct open-air flight testing at Eglin AFB. The 40th Flight Test Squadron provides aircraft support to the 46th Test Wing and its customers with a variety of aircraft, including the F-15, UH-1N, and NC-130. The NC-130A Airborne Seeker Evaluation and Test System (ASETS) is an airborne platform for Developmental Test and Evaluation of air-to-ground and air-to-air seekers and sensors. The ASETS is one of the many Measurement Systems and Facilities (MSF) supported by Eglin's Simulation and Signature Division. The turret measures 50 inches in diameter and extends 70 inches below the aircraft. 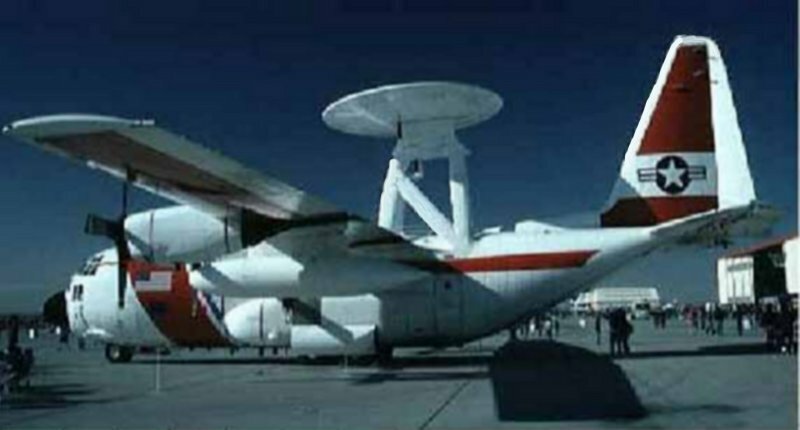 Because of the low ground clearance of the C-130, a unique retractor mechanism lifts the turret inside the aircraft during takeoffs and landings, and deploys the turret outside the aircraft during testing. The turret has over 7 cubic feet of payload space, and can accommodate up to 300 pounds of equipment. The turret contains a five-axis gyro-stabilized gimbal system that maintains line of sight (LOS) stability of +/- 125 microradians in pitch, roll, and yaw axes. The purpose of the 95-GHz Airborne Radar Measurement System (95-RMS) is to collect high resolution Millimeter Wave (MMW) clutter and target-in-clutter data to support the development of smart munitions. The 95-RMS has been used on the Airborne Seeker Evaluation and Test System (ASETS) as part of the Airborne Instrumentation System (AIS). This sensor forms an integral part of a multispectral instrumentation suite (95 GHz radar , 3-5 & 8-12m IR cameras) known as the Airborne Instrumentation System (AIS). The AIS and all of the associated data acquisition systems, video recorders and support equipment are installed in a specially modified USAF C-130A (ASETS).